Diet in the Wild: Small animals, such as lizards, amphibians, mammals, birds, spiders, and insects. Some fruits and seeds. 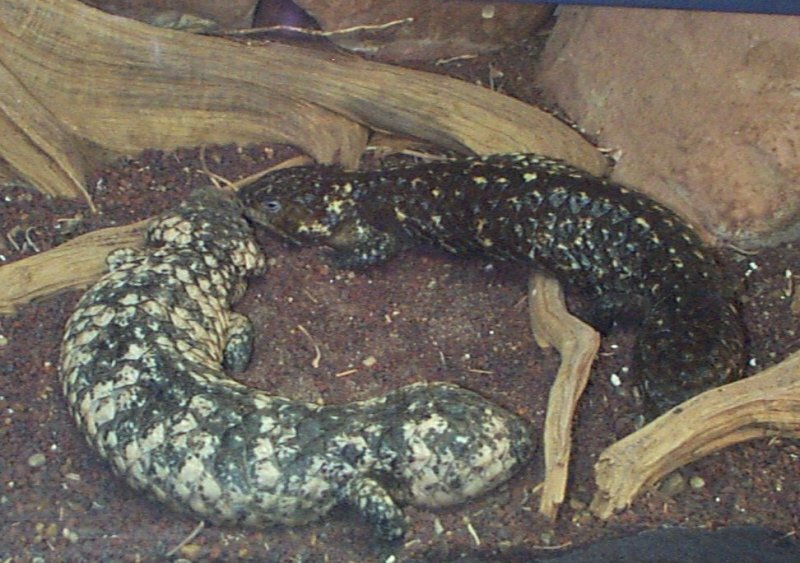 Conservation Status: They are listed as vulnerable in South Africa and can only be found in reserves. The are usually found in pairs, trios or quartets with young birds. Special Adaptations: In South Africa the tribes use these birds as a tribal medicine. It is also custom to have one in the village because the villagers believe it brings them good luck. In Sudan, the native hunters will tie a stuffed head to their own head and will crawl through the grass while searching for prey. When the prey see this image they think that it is only the Abyssinian Ground Hornbill and are not suspicious. 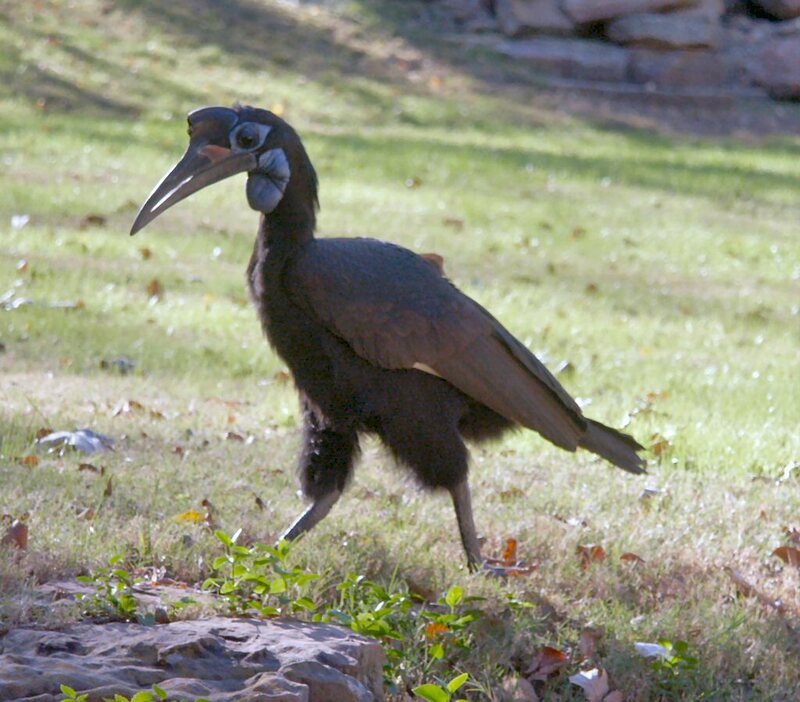 At the Fort Worth Zoo the Abyssinian Ground Hornbills are placed in a fenced area with other antelope-type animals. The day that I observed them, there was only one in the fence. He spent most of his time pacing back and forth on the grassy area, looking at all of the people. He was also seen scratching himself with his beak, pecking at a rock and running from one side of the fence to the other. On the information board I read that these birds prefer running or walking to flying. The only time they have been seen flying is when they are startled or encounter really tall grass.